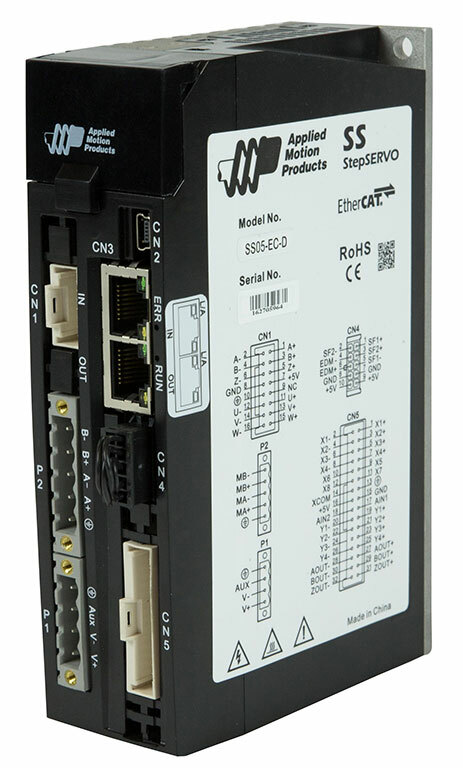 The SS05-EC-D StepServo Drive is specifically designed to operate on EtherCAT networks using the CANopen over EtherCAT (CoE) protocol and conforming to CiA 402 specifications. The drive supports Profile Position, Profile Velocity, Profile Torque and a range of Homing modes. The drive also has the ability to run stored Q programs, which can be controlled over the EtherCAT network via Applied Motion-specific objects. All SS-EC drives are configured and tuned using Applied Motion’s Step-Servo Quick Tuner software with built in Q Programmer. The SS05-EC-D can be powered by supply voltages in the range 24 to 70 VDC, with a recommended supply voltage of 48 VDC. The drive also provides a separate auxiliary power supply input (12 to 48 VDC) that can be used for a keep-alive function. See Related and Recommended Products below for compatible 24 and 48 volt power supplies. Each SS-EC drive comes with a dedicated Safe Torque Off (STO) circuit which, along with the keep-alive function, is intended for use in safety-rated applications. StepSERVO Drives are compatible only with StepSERVO Motors from Applied Motion. 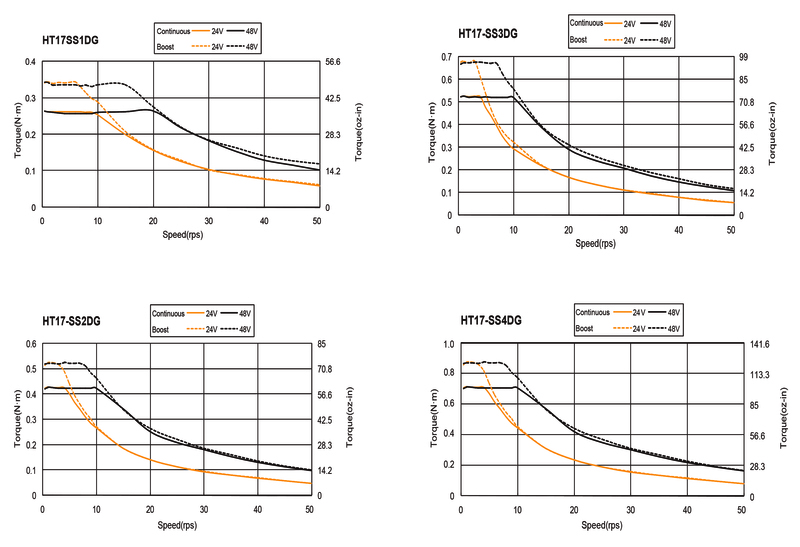 See Related and Recommended Products below for the motors that are compatible with this drive. StepSERVO technology combines the high torque capabilities of a step motor with the closed loop dynamic control of a servo system. The result is a motion control solution that operates quietly and efficiently, requiring only the minimum amount of current to maintain commanded position and velocity. 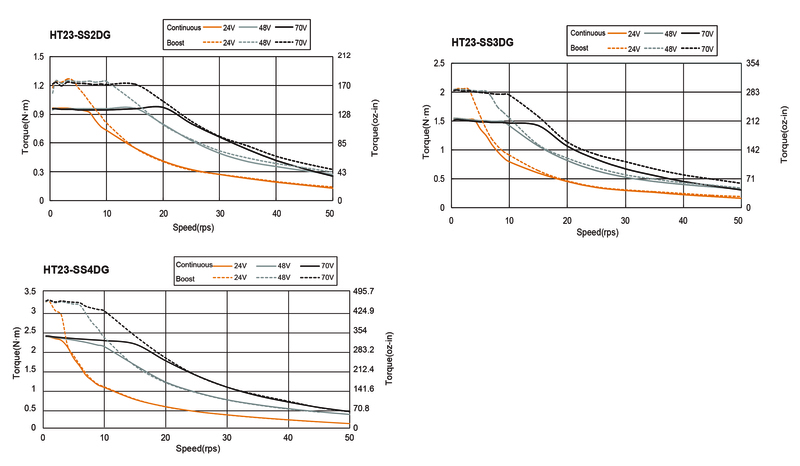 Boost (or peak) torque that is higher than the rated holding torque increases the limits of acceleration, leading to faster cycle times and greater throughput. 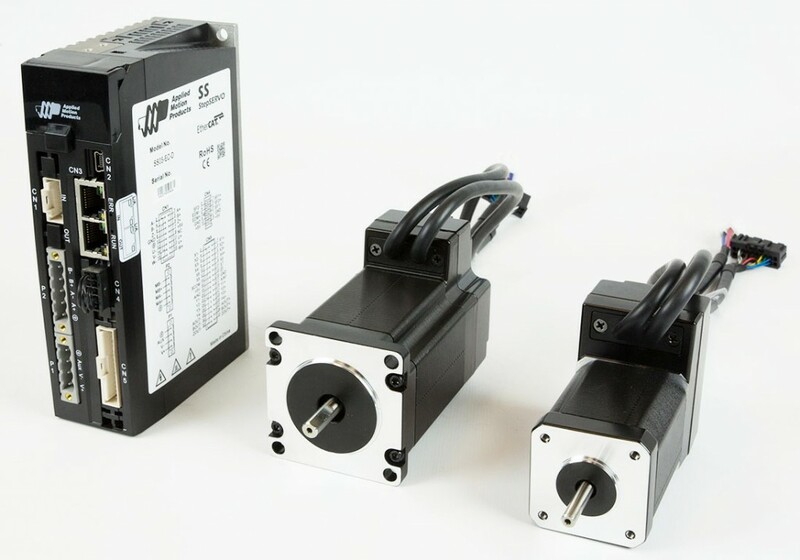 StepSERVO systems can be applied in applications where traditional step motors cannot achieve the high levels of accuracy and performance required. Each SS-EC drive comes with 8 digital inputs, 4 digital outputs, and 2 analog inputs. The digital inputs accept signals of 5-24 VDC and can be used for connecting end-of-travel limit switches, PLC outputs, sensors and other signal types. The digital outputs can be connected to PLC inputs, counters, lights, relays and other devices. The 2 analog inputs accept 0-5, 0-10, ±5 or ±10 volt signals, and can be used as an additional sensor input. Differential encoder signal outputs are also available from the drive.